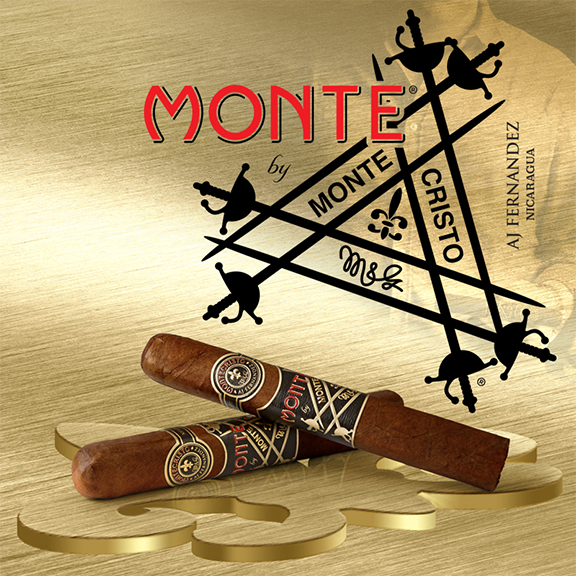 Monte by Montecristo AJ Fernandez | Chicago's Pipe, Cigar & Tobacco Store | Iwan Ries & Co. This exciting collaboration between Montecristo and AJ Fernandez brings the heritage of Montecristo with a Nicaraguan flair. It showcases a variety of tobaccos to produce a complex flavor profile of chocolaty goodness, accompanied by notes of coffee, roasted nuts, and a caramel sweetness.